Can we just take a minute and talk about how good these look? Oh my goodness! I am in heaven! Did you notice the Oreo on the bottom? WH-AT?! Super bonus surprise. You are welcome. Honestly, these treats aren’t just for the kids. Make these for any upcoming get together you might have. 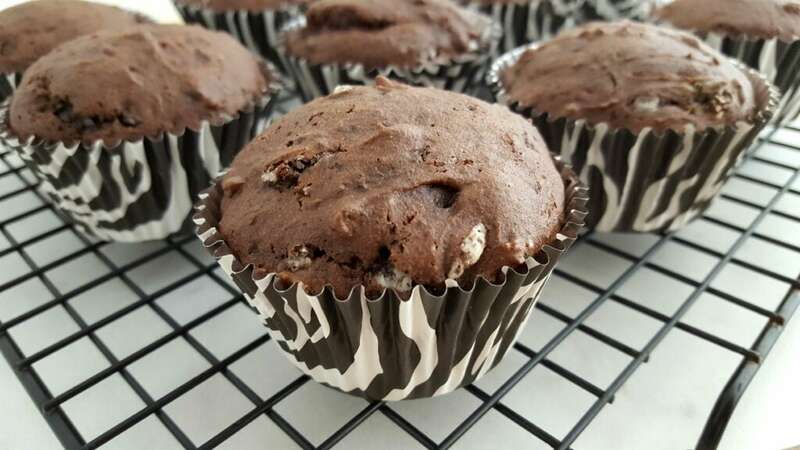 This gluten free cupcake recipe sure is an absolute treat. I feel like you have a lot more options in the dessert department when it comes to this type of diet than you do when it comes to the main course. Do you feel the same way? Do you struggle more when you are looking for something sweet or when you are coming up with something to make as a main meal? 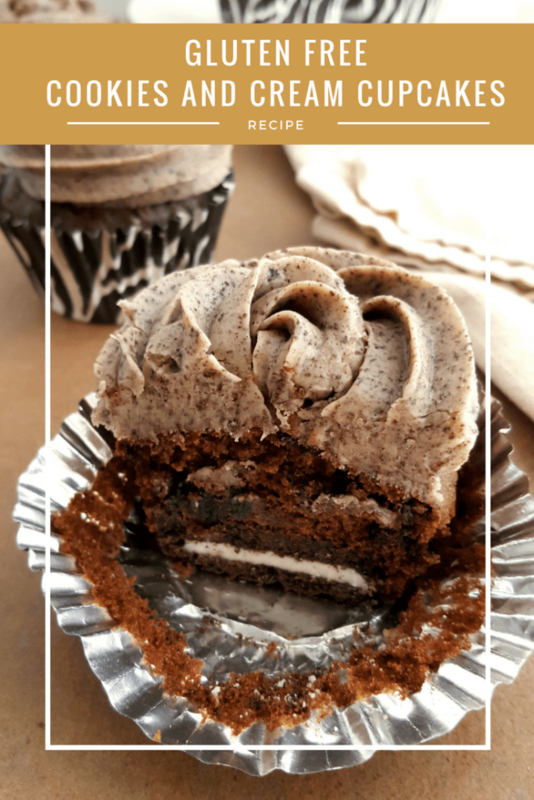 1 box Gluten Free Chocolate Cake Mix (plus required eggs, oil, and water as directed on box) – can sub any box of chocolate cake mix if not GF. 2 packages Gluten Free chocolate sandwich cookies (if you’re not GF, you can simply use 1 regular package of Oreos. I’ve found the Gluten Free brands includes about half the amount of cookies as a regular package of Oreos). 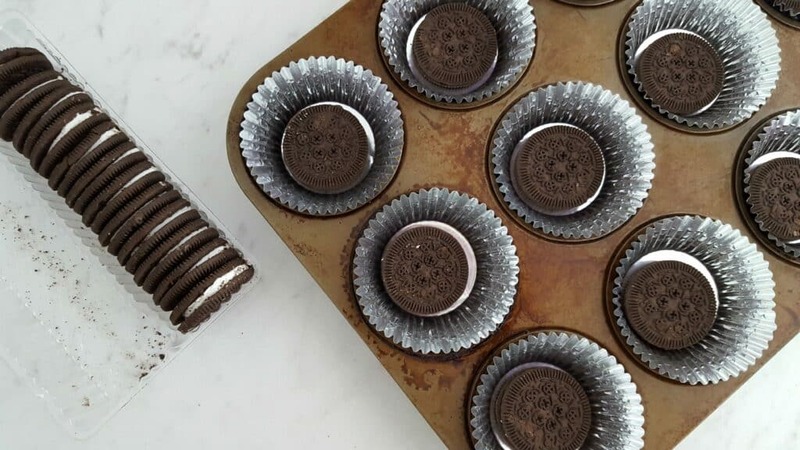 Line muffin tin with 24 cupcake liners and place a chocolate sandwich cookie at the bottom of each. Take half of the remaining chocolate sandwich cookies and place them in a ziplock bag and crush the cookies (a rolling pin worked nicely for this!). 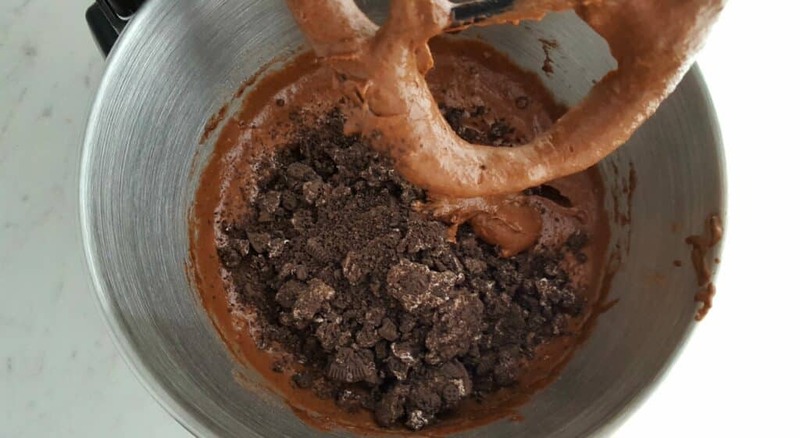 Dump the broken up cookie crumbles (cream filling and all) into the chocolate cake mix and combine. For the frosting, cream together softened butter and cream cheese. Add vanilla extract, and then slowly add in the powdered sugar until well blended. 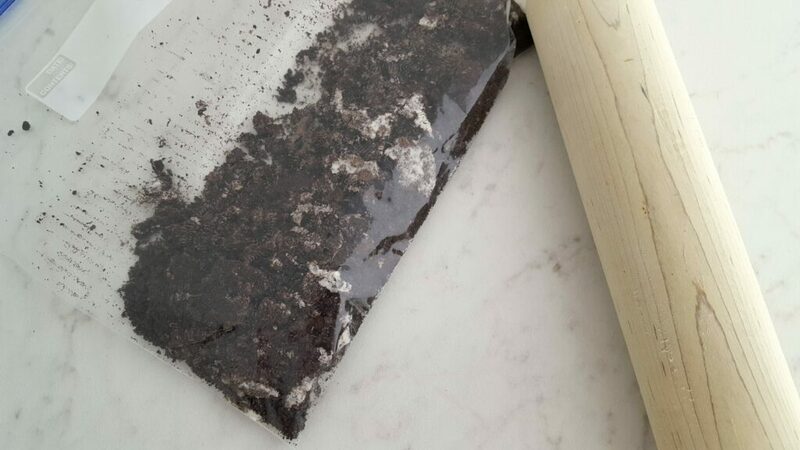 Add the remaining chocolate sandwich cookies to a food processor and pulse until cookies become a fine crumb consistency. Add to the prepared frosting, and mix well to combine. 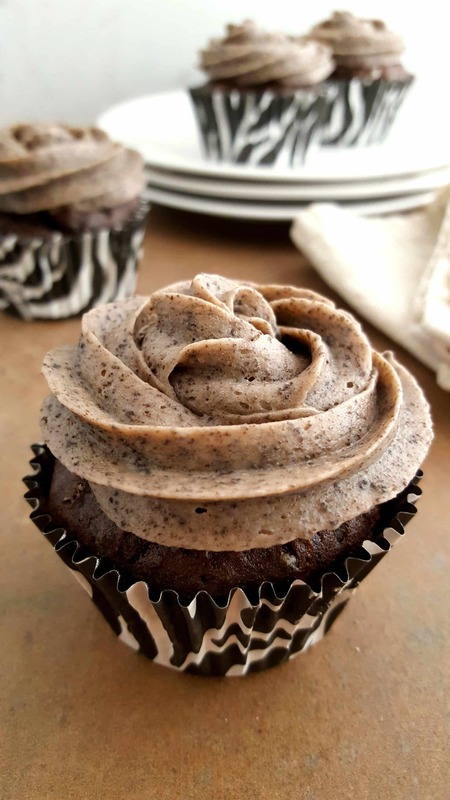 After cupcakes have cooled completely, add the desired amount of frosting. *** Gluten Free Cupcake Recipe TIP: If using a piping bag and tip to frost, you may get some cookie chunks in the frosting that will plug up the tip. Simply use a toothpick to push through the end of frosting tip and break up the chunk to allow the frosting to flow back through. What do you think? 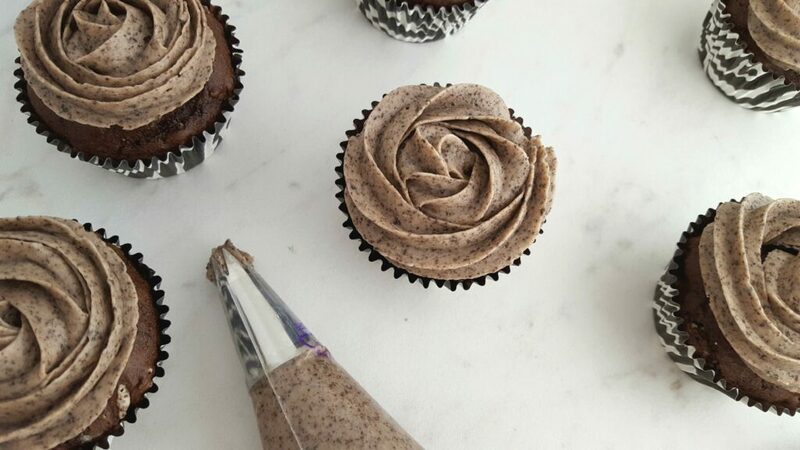 Are you going to give these gluten free cupcakes a shot? I hope you do. For more desserts, be sure to visit my recipes page. 1 box Gluten Free Chocolate Cake Mix plus required eggs, oil, and water as directed on box – can sub any box of chocolate cake mix if not GF. 2 packages Gluten Free chocolate sandwich cookies if you’re not GF, you can simply use 1 regular package of Oreos. I’ve found the Gluten Free brands includes about half the amount of cookies as a regular package of Oreos.